A Town Hall is defined as a gathering of the community, or an informal come-to-call. 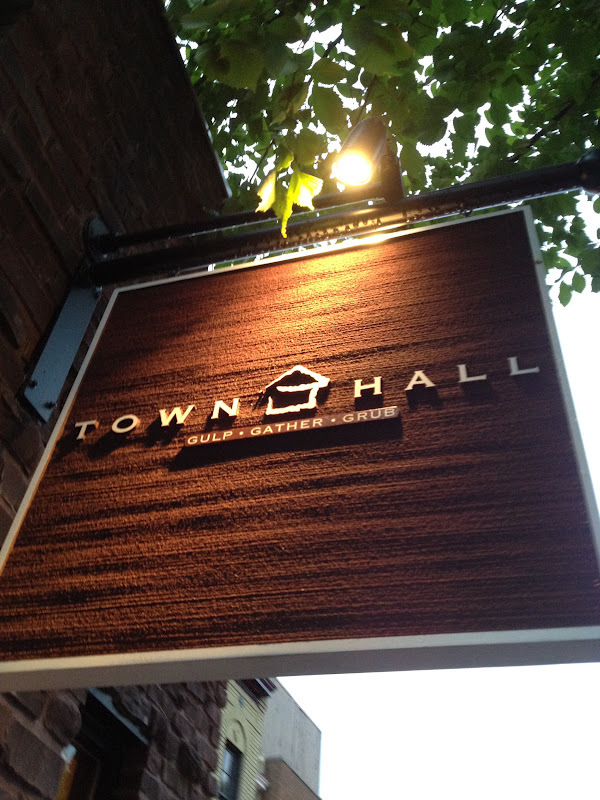 Town Hall as the restaurant located in DC couldn't be any closer to its namesake. It truly is a place of gathering for those in the DC community. We've had many occasions where the two of us will find our way over to Town Hall, maybe meeting another couple, maybe not, but either way we find ourselves leaving, many hours later, with multiple friends in tow. The motto of the restaurant is "Gulp-Gather-Grub" and we surely do stick to the motto. Their specialty cocktails are divine. I usually head for a good old Dark 'n Stormy or the Screaming Viking, a Hendricks Gin based drink. The boys seem to jet straight for the signature Town Hall whiskey concoction. The beers on tap are quite plentiful in variety, usually offered at a discounted happy hour rate. The drink menu does change from time to time, but the bartenders are always willing to whip up anything your heart may desire. The staff is of course very friendly because it's Town Hall, a neighborhood joint. As for grub, some of my favorite appetizers are the grilled cheese and tomato soup, or the Tuna tartare, served atop freshly made Guacamole. The Jerk wings are also mighty tasty. For brunch I am a big fan of the Eggs in the Middle. For dinner, I like their pasta dishes, shrimp dishes, and the pork chop served with mac 'n cheese... wow, the Goat Mac 'n Cheese - unbelievable! 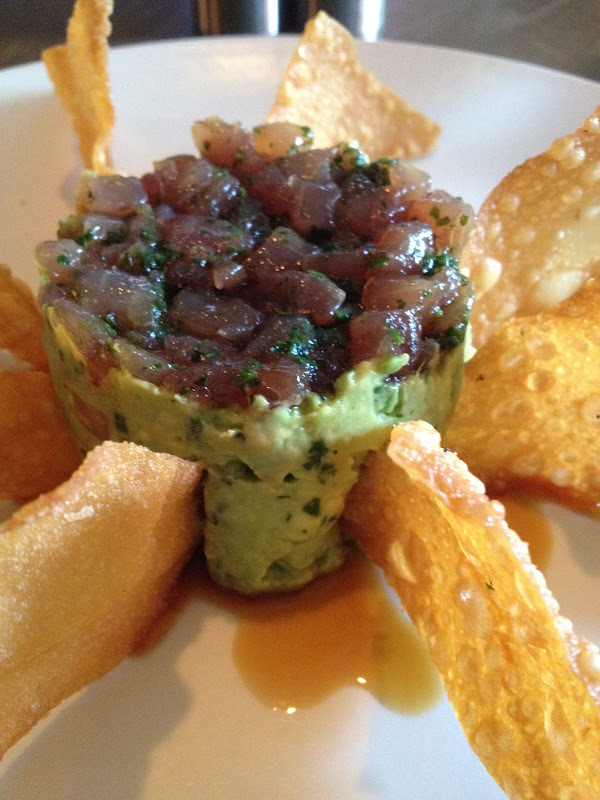 The menu does change seasonally, but they keep some of the staples year-round. Now when you head over to Glover Park, don't get confused, because the original Town Hall location (which is actually the newly opened Mayfair & Pine that I do hope to check out soon) was moved just up the street on Wisconsin Avenue.